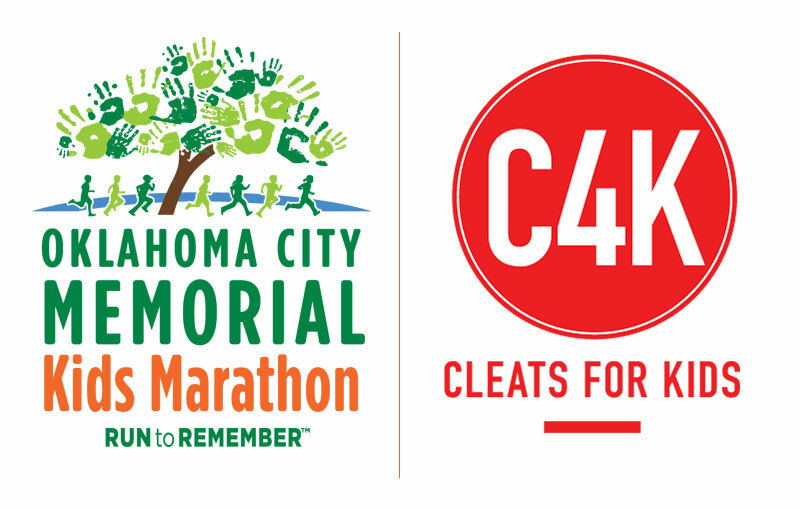 The Oklahoma City Memorial Kids Marathon is excited to partner with Oklahoma Cleats for Kids (C4K), a local non-profit that equips and empowers kids through sports by providing the equipment needed to play free of charge. This equipment is collected through community drives and C4K needs YOUR HELP to get more kids in the game! Please encourage your kids to demonstrate the Oklahoma Standard and donate gently used shoes and equipment for any sport, of any type, in any size. We will pick up donated sports equipment at Kids Marathon rallies and training sessions. Donations can also be made at the Health & Fitness Expo on Friday, April 26th and Saturday, April 27th. We thank you for your support. For more information, visit cleatsforkids.com. ← Give the Gift of MARATHON!